I love TV. I really do. I’m not ashamed of it either. I guess it’s bad for me, I guess I could be reading books or something considered by others in society to be a more productive use of my time. I don’t care. I really love TV. Most all of it. In my defense to those who insist I must be a walking zombie by now, I rarely am just watching TV. I’m generally working on my laptop in the evenings or stretching and strengthening for running. I spend a lot of time doing these activities, and so over the past few years have consumed several seasons of several series with glee. I’m very reward driven as a person. I run half marathons because they give you medals just for finishing and if they gave out gold stars for doing dishes, I’d certainly not have a sink full right now. GetGlue appeals to those of us who like the reward side of online game play by tracking your check-ins and issuing ‘stickers’ for events like watching a season premiere episode or viewing an upcoming movie trailer on their website. They also reward multiple check-ins to the same show by increasing your fan status and issuing new stickers for landmark levels. 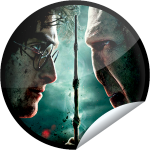 I’ve been using it a few months and along with numerous updates and improvements to the mobile applications and web interface, it’s been great to see the increased number of television shows and movies creating custom programs and stickers. My only complaint is that I watch the majority of my TV episodes on my DVR and certain stickers are only available within a window of the live broadcast. This means when I watch the episode the next day, I may miss the special sticker for that week’s episode. This has actually made me change my viewing rotation sometimes, pushing me to watch something sooner. I also make sure I check-in for shows and movies that I know are participating in special badge programs. When I saw it in my email newsletter, despite the mocking of my boyfriend for checking-in, I definitely made sure I got my Harry Potter Deathly Hallows Pt. 2 Opening Weekend sticker! In addition to checking-in for movies and television episodes that you’ve watched, you can check-in for watching sports, reading a book, listening to music, playing a video game or thinking about a celebrity or topic. An earlier version of the application allowed you to also check-in to the wine you were drinking, but the few times I tried to do that before they removed it, the wines were unlisted. I stick mostly to TV and movies, but have occasionally checked into a book or two. 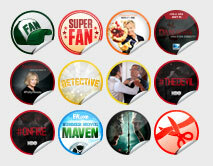 GetGlue has also helped me to discover TV shows that I may not have known about, or informed me about a premiere or finale that I didn’t know was coming up, just because a limited edition badge would appear in their list. I’ve come to count on them as a resource for this type of news. Overall, I really enjoy using GetGlue to track my consumption and have found that the application has added to my enjoyment of viewing certain shows because of their high level participation. It’s simple, easy to use, and rewards me for something I was already doing anyway. Have you tried out GetGlue? 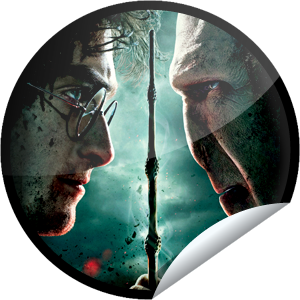 Do you like apps and websites that reward you with badges and stickers for selected achievements? Do you like when companies add a little bit of game mechanics to the things you do every day?